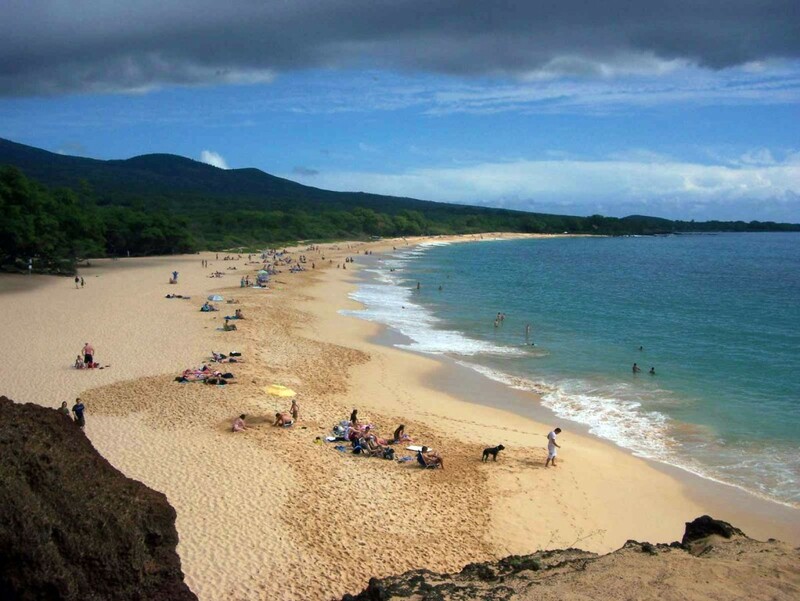 Big Beach in South Maui is so named because, well, it’s big…at least for Hawaii. The beautiful expanse of golden sand stretches out for about two-thirds of a mile inside Makena State Park. The west side of the beach abuts the Pu’u Ola’i cinder cone, which offers a great lookout and photo spot. The beach break here can be quick and dangerous, so take caution while you enjoy watching experienced locals body-board on the steep wave. Looking directly to the west you can see Molokini island a mere mile and a half away; this is the closet point to Molokini on land. Admission is free and the parking lot is large, otherwise the facilities are minimal.